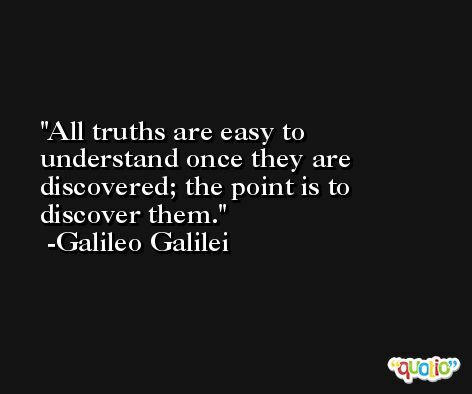 "Galileo Galilei", often known mononymously as "Galileo", was an Italian physicist, mathematician, engineer, astronomer, and philosopher who played a major role in the Scientific Revolution/scientific revolution during the Renaissance. 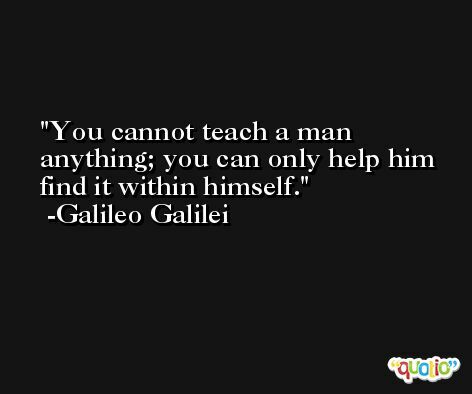 His achievements include improvements to the telescope and consequent astronomical observations and support for Nicolaus Copernicus/Copernicanism. 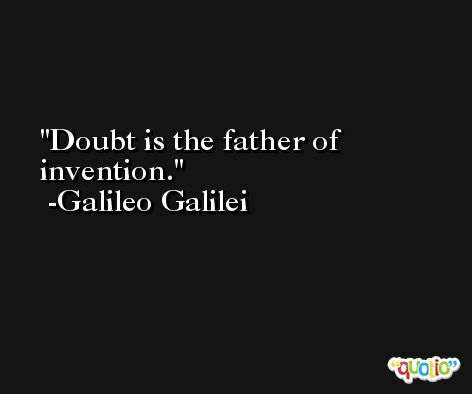 If you enjoy these quotes, be sure to check out other famous scientists! 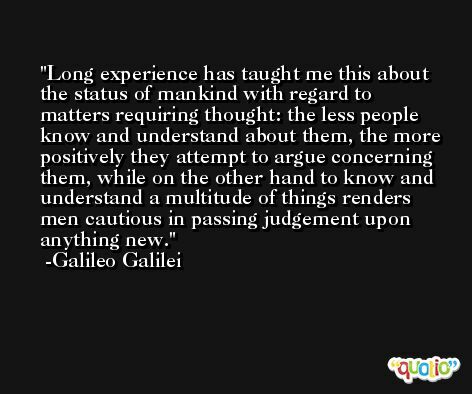 More Galileo Galilei on Wikipedia.